Hello Doodlebugs! 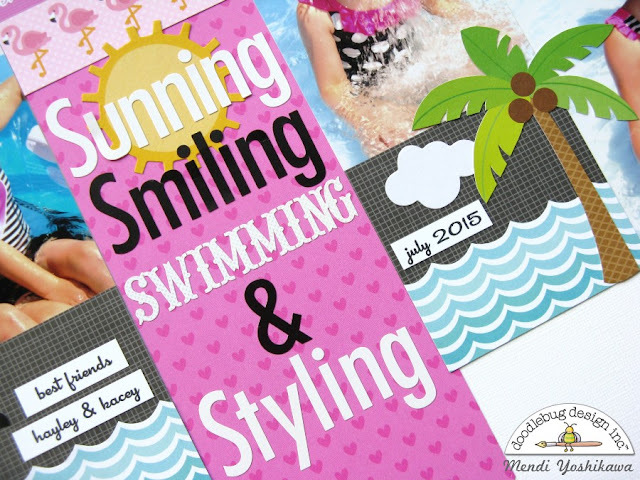 It's Mendi here today sharing a closer look at a layout I created for Becky Fleck's July PageMaps sketch reveal using a mix of some of my favorite Doodlebug collections for summer. 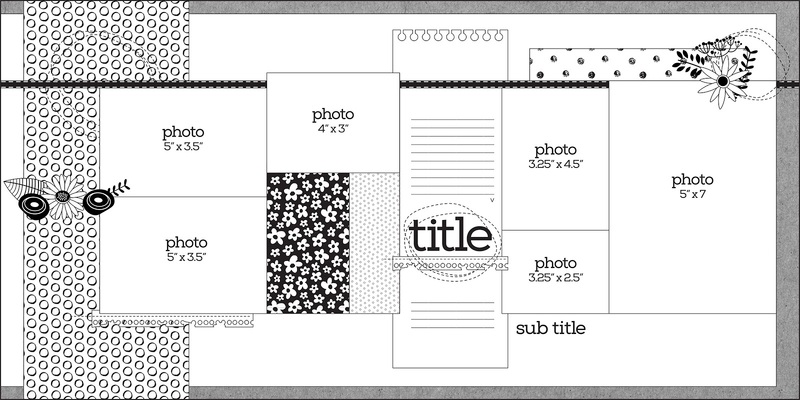 For my page I really wanted to play off the colors and polka-dot pattern in my photos so I ended up pulling papers and embellishments from six different Doodlebug lines to create my layout today. The sketch calls for three clusters to form a visual triangle and move the viewers eye through the page, with the title and subtitle forming the third point in the triangle. For my first point, I used a polaroid frame and embellishment from the Fun in The Sun Odds and Ends pack, topped with a mini jewel. I chose to use the center strip which was originally intended for some longer journaling to hold my over-sized title using a mix of two different styles of alphabet stickers. To add a bit of interest, I mixed two different colors in the same skinny font and layered a sun below the word "sunning". For my new "journaling" spot I added some simple details about the day along with a cute little scene using some waves paper which I fussy cut out and paired with a flamingo sticker from the new At The Zoo collection. I hope I've inspired you to mix a few of your favorite Doodlebug collections. It's so much fun to pull from the colors of your photos and let them guide you in your design process. This is a fabulous 2pager!!! I love everything about it!! !